ARA Engine can save you money on replacing your cylinder block. The ARA Engine team will proudly service engines for all makes and models of Cars, Marine, Locomotive, Transport, Agricultural, and Mining vehicles. From crack testing to line boring and general machining, ARA Engine has a fully-equipped workshop to restore and enhance the performance of your cylinder block. Get back on the road sooner with a comprehensive inspection, clean, and reconditioning service to increase the lifespan of your cylinder block. With years of technical knowledge and a friendly smile, you can expect a positive experience dealing with the ARA Engine team. Call (02) 9892 1033 or contact us to book a service appointment. How Does a Cylinder Block Work? The cylinder block is a key component of any modern engine. Made from a metal casing (typically iron), the cylinder block is designed to house many components that power the vehicle including the crankshaft, cylinder heads, gaskets, valves and seals. The practical design allows for the safe passage of water, oil and air. This lets each engine component to run correctly and maintain a stable performance, and also reduce the level of stress caused by sudden rises in temperature. A regular service is vital to maintaining the efficiency of the cylinder block and lower the risk of damage to other connecting parts. 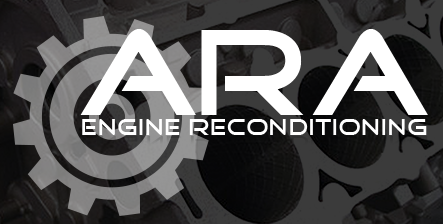 ARA Engine are experts in reconditioning cylinder blocks and heads for Sutherland Shire. Our highly trained professionals use advanced line boring machinery and other equipment to service – and in many ways improve – the quality of cylinder blocks. In fact, we use the same tools and machinery that leading brands like Cummins, Deutz, Komatsu and Volvo use to manufacture their engines. After each service, we perform a step-by-step performance test to ensure the cylinder block and the associated parts are working correctly. Rest assured, your cylinder block leaves the shop in better condition than when it arrived. Can you afford to pay the cost of a major engine fault? Don’t wait until your cylinder block bites the dust. Get it serviced near Sutherland Shire by the professionals at ARA Engine. Call us on 9892 1033 or contact us to book an onsite inspection.